She speaks from the experience of having already de-onioned quite a bit of the shenanigans of Viola, Orsino, Olivia and company. The production that opens this weekend to kick off the Old Globe’s 2015 Summer Shakespeare Festival is Taichman’s second go-round following a 2009 production at Shakespeare Theatre in Washington DC which subsequently moved to the McCarter Theatre. Going back even further, Taichman played Viola as an undergraduate in a production at McGill University while still, in her words, “a pup.” Taichman, who had acting aspirations before turning to directing, does not give her rendition of Viola glowing reviews. “My memory of the experience is that I didn’t understand the play at all,” she says. The 2009 production, on the other hand, took home glowing notices for both its performances and for its visual palate. The Old Globe opportunity came about after she was approached by the company’s Artistic Director Barry Edelstein who had seen the Shakespeare Theatre/McCarter production and inquired if Taichman was up for reimagining it for an outdoor staging at the Lowell Davies Festival Theatre. As magical as the Festival Theatre may be – complete with occasional vocal contributions from the inhabitants of the neighboring San Diego Zoo – there were certain elements that could not be replicated. Where indoors, she had showered the stage with 60,000 rose petals at the end of the first half, a similar image would have been difficult to pull off in Balboa Park. Replication was not the aim anyway. Apart from scenic designer Ricardo Hernandez and lighting designer Christopher Akerlind, the entire crew and the cast are completely different from the last go-round. And this was entirely by design. 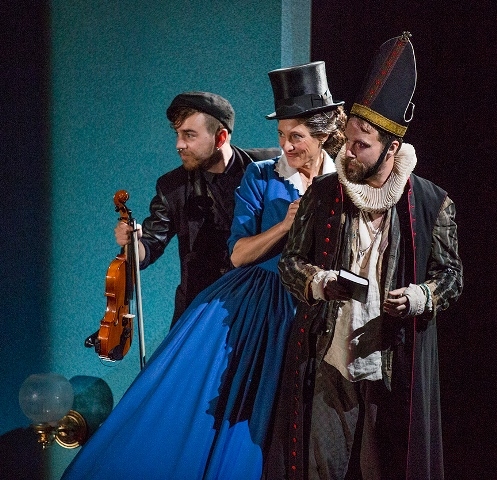 The metaphor of falling in love from a new perspective seems particularly apt given the players involved: shipwrecked Viola who disguises herself as the boy Cesario to serve Duke Orsino of Illyria. 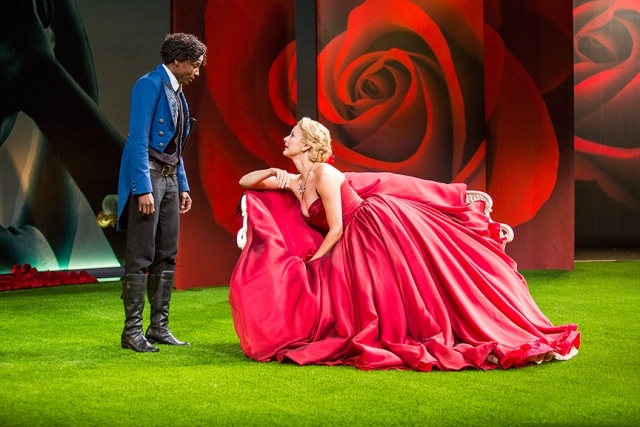 Charged with wooing the Countess Olivia on Orsino’s behalf, the disguised Viola causes Olivia to fall in love with her, a circumstance complicated by the fact that she, Viola, has fallen in love with Orsino. Equally love-crossed are the puritanical steward Malvolio who is tricked into believing Olivia is in love with him; Olivia’s kinsman Sir Toby Belch and her maid Maria, the doltish knight Sir Andrew Aguecheek (who also is in love with Olivia) and Viola’s twin brother Sebastian. The musically inclined fool Feste may occasionally sing of love, but he’s one of the play’s few central characters who exists outside the complications of Cupid’s arrows. In addition to Felciano, Taichman’s company is replete with Bard veterans including Robert Joy, Tom McGowan, Amy Aquino, Rutina Wesley, Patrick Kerr, LeRoy McClain, Terence Archie and Daniel Petzold. Taichman is not the only one who is having a second time around “romance” with Twelfth Night. 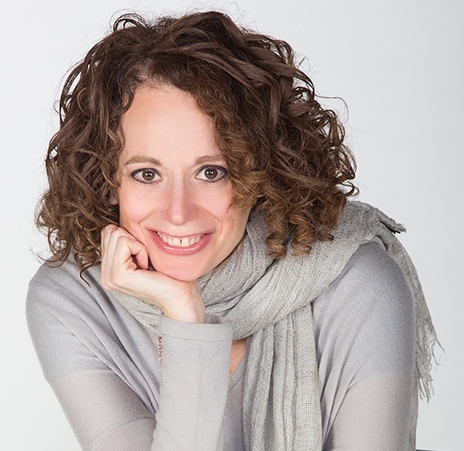 Sara Topham returns to Olivia four years after playing the role for director Des McAnuff at the Stratford Festival where she is a company regular. Although she concedes that, like Taichman, she has memories of the past production to “shed,” to a certain extent the role is now Topham’s blood stream. Certain vestiges are not so easily shed. In the 2011 Stratford production, the scene in which gulled and yellow stocking-wearing Malvolio woos Olivia was played on a tennis court, complete with a net and props to match. Four years later, Topham speaks those same lines on a largely bare stage. During early rehearsals, while playing out the scene, she found herself clenching her fist as though clutching a tennis racket. Although she is not re-inhabiting a role, Taichman was asked about the 19 year old version of herself who took Viola’s journey, the one who had not yet had her heart deeply broken to understand it. 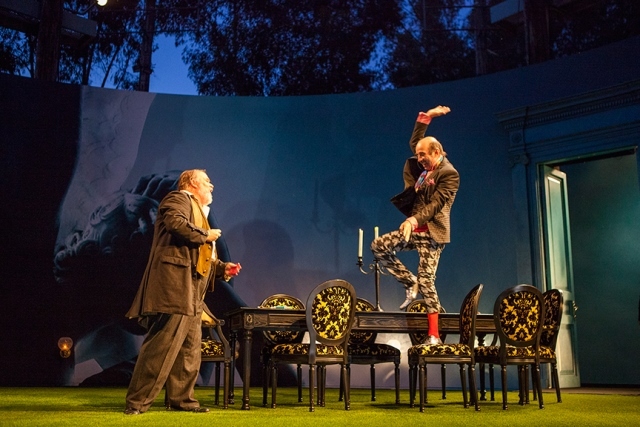 Twelfth Night runs through July 26, 2015 in the Lowell Davies Festival Theatre at The Old Globe in San Diego, 1363 Old Globe Way. Tickets: (619) 23-GLOBE [234-5623] or www.oldglobe.org.